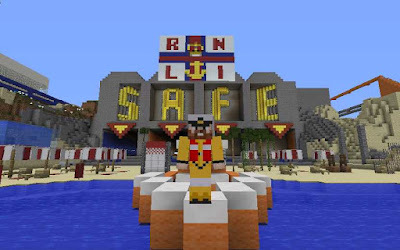 The Beach Builder Challenge, available to play from 1 August, has been created by the Royal National Lifeboat Institution (RNLI) to teach children about beach and water safety at a time when many young people will be visiting the coast during school summer holidays. This is the second year of the initiative using the interactive video game, Minecraft, which allows children to create and build virtual worlds, and now includes a Beach Island Adventure. Labels: Children, Education, Safety., Sea, Water.